Hand picked and selected for the best, reddest, juiciest, and most flavorsome tomatoes, our Fresh Tomatoes are grown with special care to ensure that they live up to international standards of high quality. Organically cultivated and free of all pesticides, these Fresh Tomatoes are also free of any artificial color to ensure all natural and high quality taste. 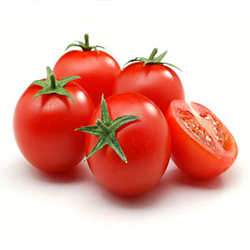 One of Indias leading processors and exporters of fresh vegetables, our Fresh Tomatoes are guaranteed to be the best in India, because of all the care gone into hygienically packing them to ensure minimal damage during delivery.